Research advances in trauma have improved our management of the injured patient during their hospital stay but do nothing to keep them from returning with a recurrent injury after being treated and discharged. 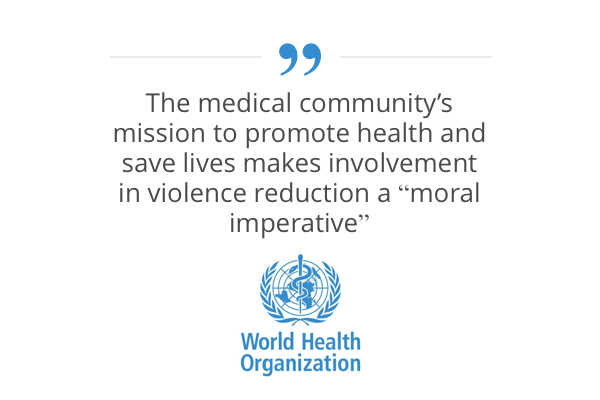 Violence is a Predictable Pathological disease that results in Premature injury and death and has thus become a Public Health epidemic. Fortunately, it is PREVENTABLE.